Branding Value Now Green & Environment don’t drink the water! 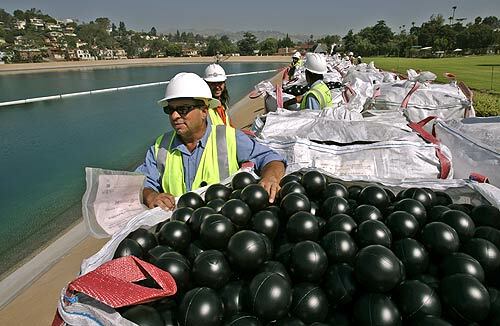 -If bromate’s nothing to worry about, why are you covering the reservoir in plastic balls? -Do you have plans to cover the rest of LA County’s drinking water reservoirs? -How does one know if their cancer affliction is the result of LA county tap-water exposure? -Do you plan to compensate those with cancer resulting from bromate exposure, or families of the deceased? -Do the plastic balls contain any chemicals harmful to humans? This is yet another reason to avoid tap water for anything other than showers, baths, washing your car and watering the lawn. The DWP should stop with the publicity stunts and simply admit that LA county water is totally unsafe for drinking, and then start some drinking water distribution program.